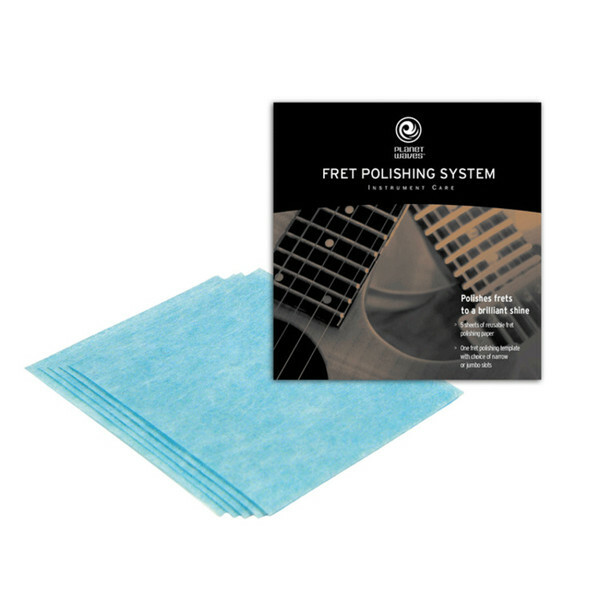 The Planet Waves Fret Polishing System offers 5 sheets of reusable fret polishing paper with a template to place over the fretboard whilst polishing. This Planet Waves product helps remove all the dirt and grime that damages the sound of your instrument. This Fret Polishing System from Planet Waves is the secret to making any guitar or basses frets shine like new, improving your instruments performance, tone and appearance.